How to describe Jasper Fforde’s “Early Riser” (Viking, 416 pp., $28)? As an absurdist thriller? Fantasy or speculative fiction? Social satire? Love story? Worst travelogue about Wales ever? Answer: All of the above. It’s a shaggy, gleeful mashup of all that and more. Sometimes overcooked and frustrating, but never boring. Fforde’s many previous books, such as those starring “literary detective” Thursday Next, similarly defy — no, mock — easy description. They’re in a class of their own, though they contain faint traces of Douglas Adams, Kurt Vonnegut and Fforde’s avowed literary hero, Lewis Carroll. 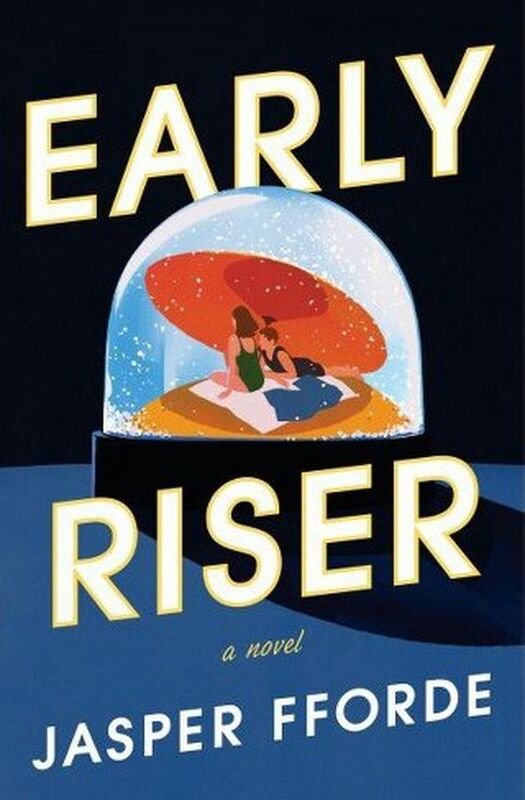 In “Early Riser,” you can expect more seriously goofy characters, blindingly inventive plots and deep pools of dubious puns, along with occasional serious points about the dangers of social engineering and capitalist greed. It seems that over the centuries humankind has had to devise ways to hibernate its way through long, lonely, deadly winters. Subzero temperatures aren’t the only dangers: The population also needs protection from bands of murdering, stamp-collecting Villains; flesh-eating Nightwalkers (“dead in sleep” people who never quite woke up); and possibly real monsters called WinterVolk. For protection, humans gorge on high-carb foods before “slumbering down” in giant Dormitoriums that are maintained by guards called Winter Consuls. Our narrator, Charlie Worthing, is a newly minted Consul assigned to a particularly dangerous sector of Wales. Hapless Charlie, along with a bunch of other wacky people (and a potential love interest or two), is assigned to investigate a viral outbreak of enigmatic dreams. The dreams center on a certain blue Buick and seem harmless enough — until they turn deadly. Charlie starts to wonder: Is there a connection between the dreams and Morphinox, an expensive sleep-enhancing drug marketed by the sinister HiberTech Security corporation? Advice to readers: Don’t be daunted by the book’s initial blizzard of puzzling jargon, or by the (sometimes overburdened) plotlines. It’s worth it. Don’t skip the footnotes or you’ll miss some good jokes, like the reference to a drug called Kenorbarbydol. Finally, trust me: Don’t think you’ll ever consider Tom Jones or Carmen Miranda in the same way again. Adam Woog’s columns on crime fiction appear on the second and fourth Sundays of the month in The Seattle Times.